I’m so happy to be able to see and touch my hair again! 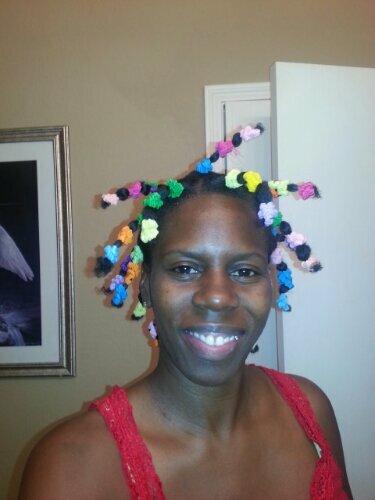 Today was wash day since I didn’t wash on Sunday. It felt so good to run my fingers through my hair. Today, I decided to do my hot oil treatment first and then deep condition right after, instead of rinsing out the treatment first and then deep conditioning afterwards as I normally do. 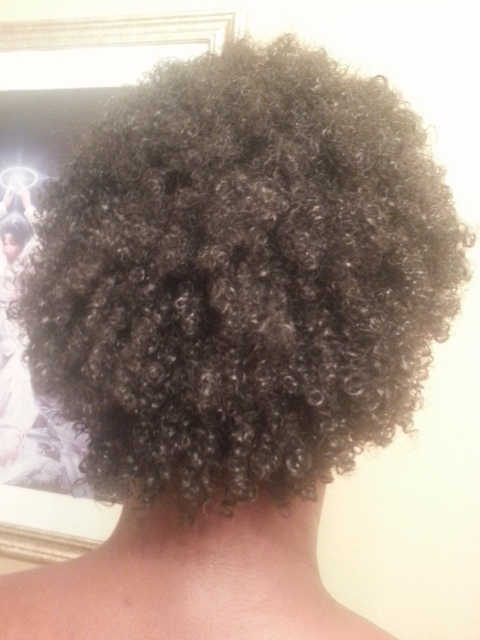 I sat under the dryer for 35-45 minutes, then rinsed, moisturized with my whipped shea butter, sealed with JBCO, and set my wash and go with EcoStyler gel. Go figure!!! In several of my posts I’ve made it clear about my disdain for EcoStyler. 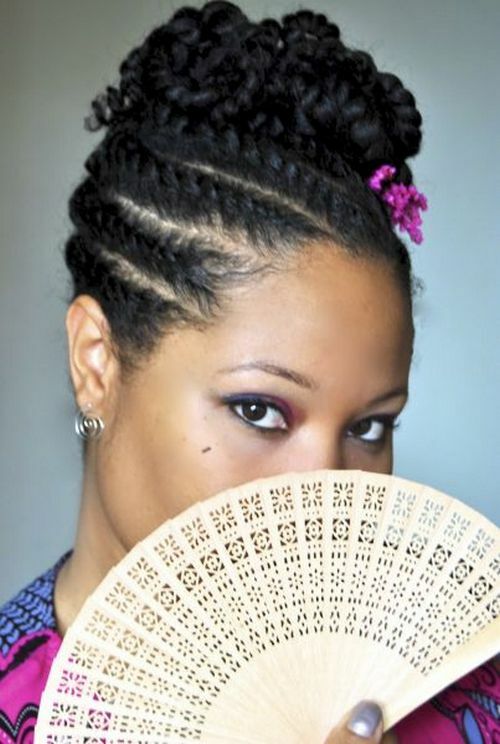 But as I was braiding my hair last week, I figured out that the it didn’t agree with my leave in conditioner, but it worked well with the whipped shea butter. My Jamaican vacation has come and gone. We had an AWESOME time! Since this blog is about my hair journey I guess I won’t go into details, but that is a trip that we must take again for sure. 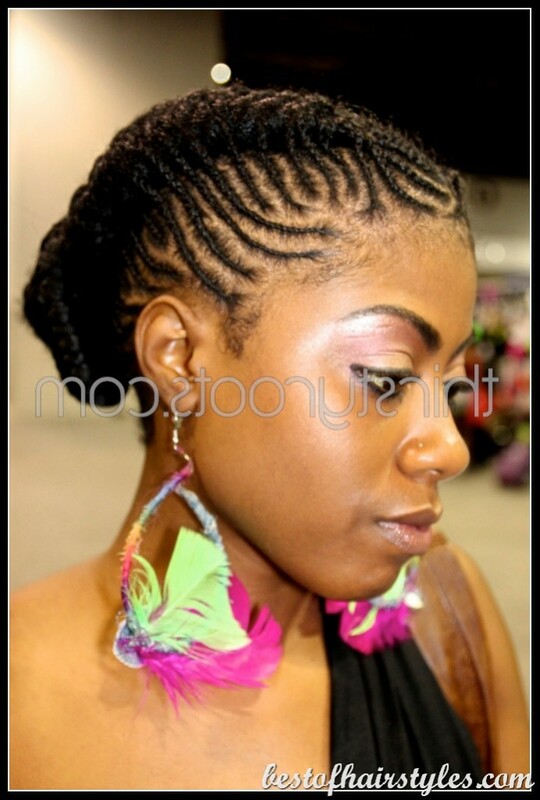 Anyhoo, my plan was to get cornrows before I left. But the day that I was supposed to get them done, which was also the day before I was to leave, my car started giving me problems. So as they say desperate times call for desperate measures. YouTube to the rescue! 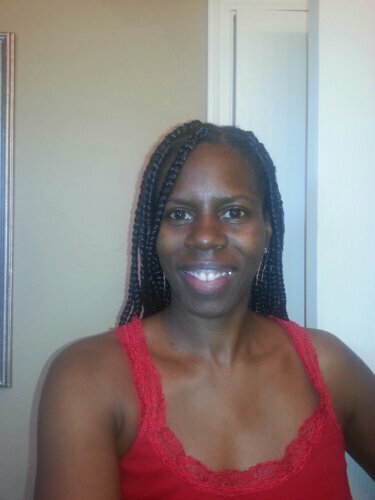 I had to learn to do my own braids! 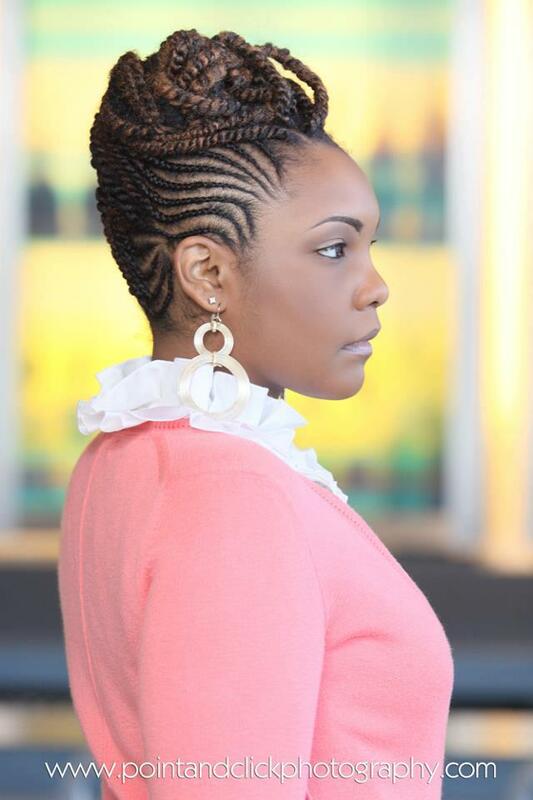 Now I wasn’t even about to try to learn how to cornrow! Been there done that and it wasn’t pretty. 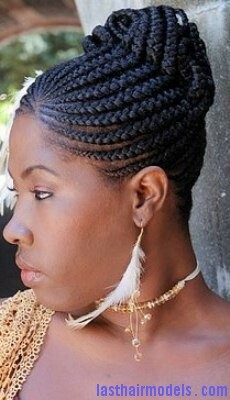 So box braids it was. After a few failed attempts at trying to do them exactly as they were done in the vids, I ended up tweaking the process a bit and then I was rocking and rolling. Here are the finished results! All in all I think they turned out pretty good being that I didn’t know how to braid! And they held up for the entire trip! OK… after today I pledge not to buy anymore products until I’ve used what I have or unless my current regimen fails to work. Actually, these were not really spur of the moment purchases. 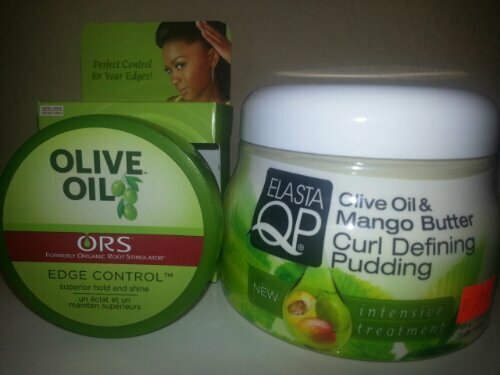 I’ve been wanting to try the ORS Edge Control because I have yet to find anything that can tame my edges. 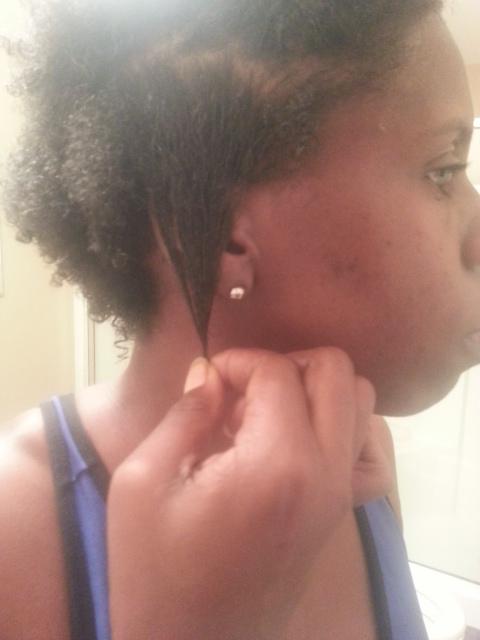 I thought I’d found “the holy grail” – a term I’ve noticed naturals refer to for products that seems to work wonders on their hair – with the Let’s Jam, but after the fiasco I had with it, that’s definitely a no go. I will elaborate on that in another post. As for the Elasta QP Curl Defining Pudding, so many bloggers and vloggers rave about it, so I want to see if it can work a miracle on the crown of my head where my hair tends to fight back…tragic! I will report back once I get a chance to try them. 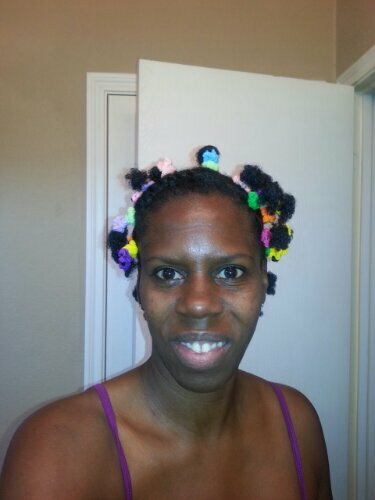 Since I’m going to be getting my hair braided, I banded it so it would be stretched. There is quite a bit of difference in how much was banded this time than the first time – meaning growth!!! So it’s finally here! I leave for Jamaica in 3 days!!! For the last month I’ve been stressing over what I’m going to do with my hair. 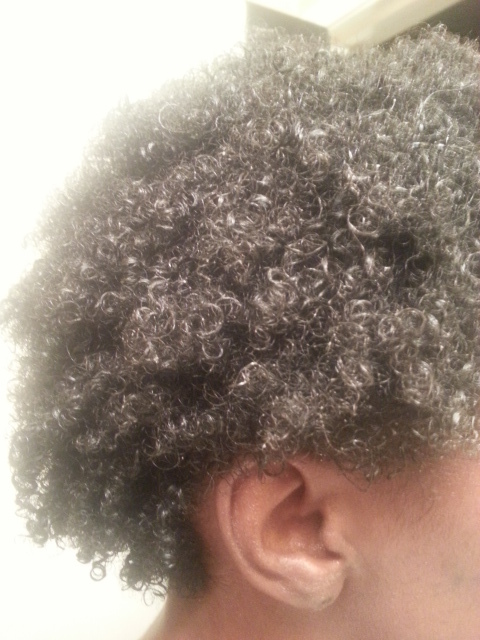 I really want to rock my natural. I mean, it’s Jamaica! 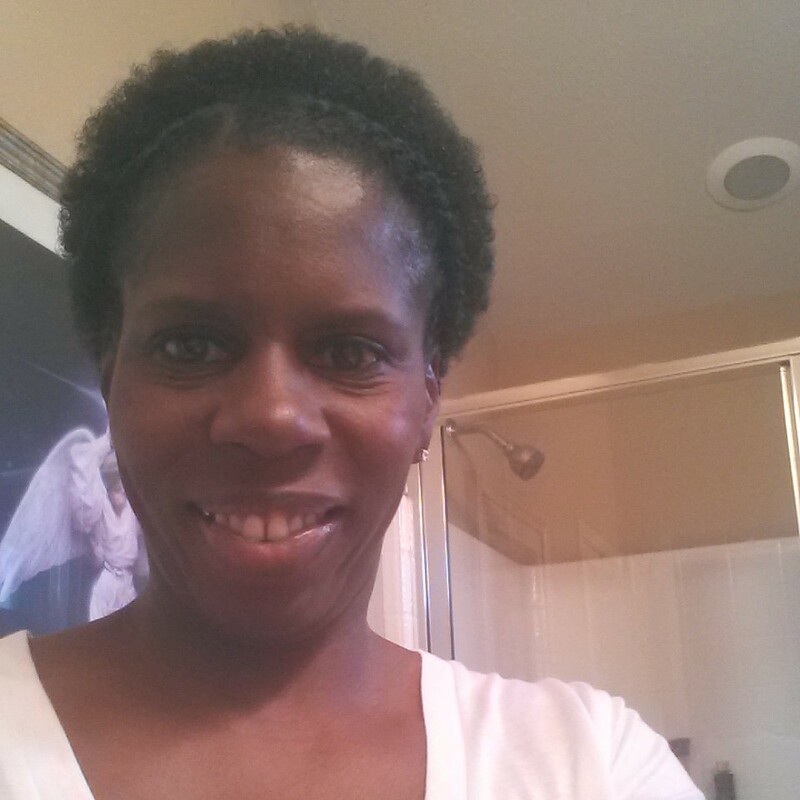 What better place to let my natural be free? But common sense prevailed and I decided that’s not a very good idea. I have enough trouble trying to tame it at home. I can’t imagine what it would like trying to manage it there, especially when I’m not sure how different the climate is from Texas climate. So to make it easier on myself and in order for me to be able to enjoy my trip without fussing with this mane, I’ve resigned to getting my hair cornrowed. The positive side of this is that my hair will be in a protective style and I won’t have to manipulate it everyday as I would have to do otherwise. That being said, these are the five looks that I’ve been trying to decide on for my hair. 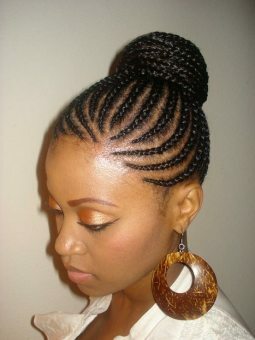 I wanted an updo, but as I was searching photos, I came across the last photo of Ciara with simple cornrows braided to the back. Sooo, which one will I choose???? 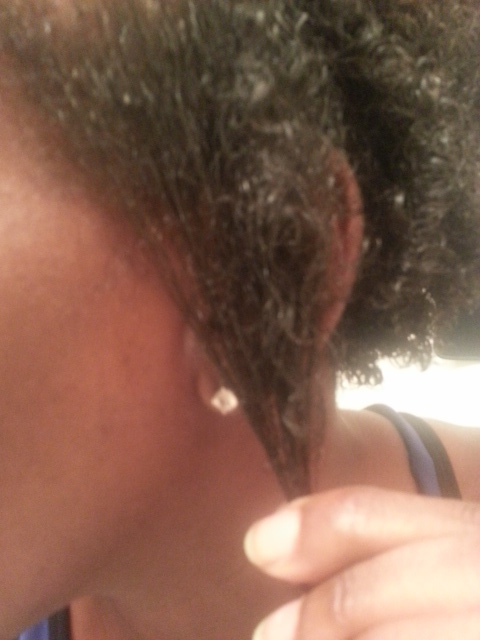 I’d been wearing flat twists since Tuesday, so I took them down today because I needed to co-wash. I absolutely can not miss my co-wash days! 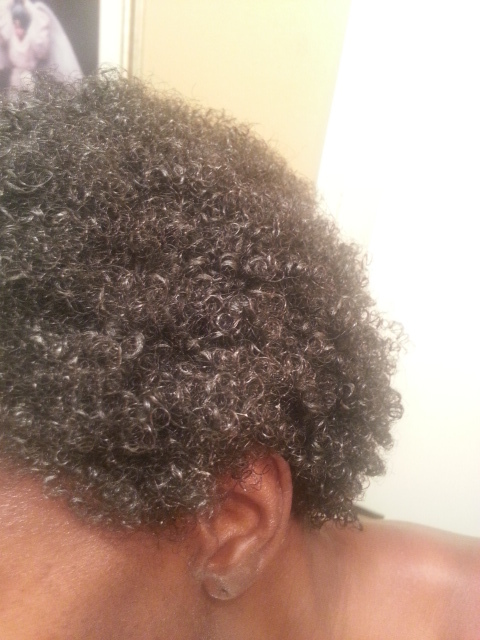 My hair get dry really easily, so it’s important that I keep it moisturized on a regular basis. 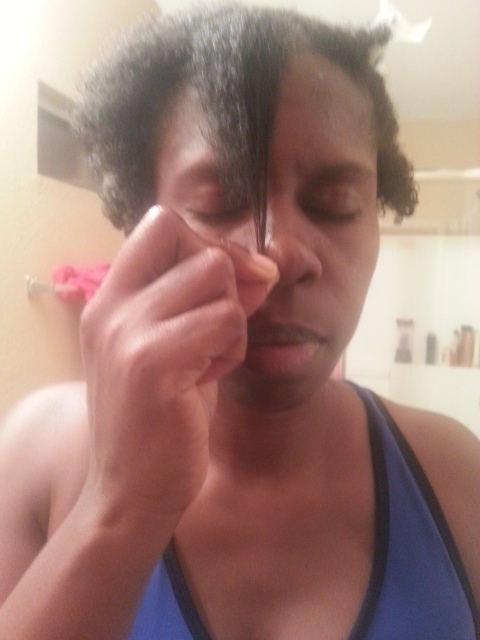 This also gives me a chance to observe my hair for any problems that need immediate attention…uh hhhmmm…breakage!!! 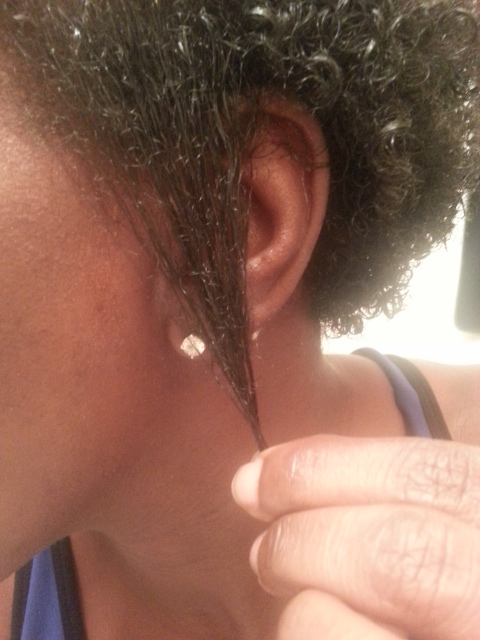 Anyhoo…I’ve never done a real length check…I mean, yes, I’ve observed the length and made mental notes of approximately how long my hair was. 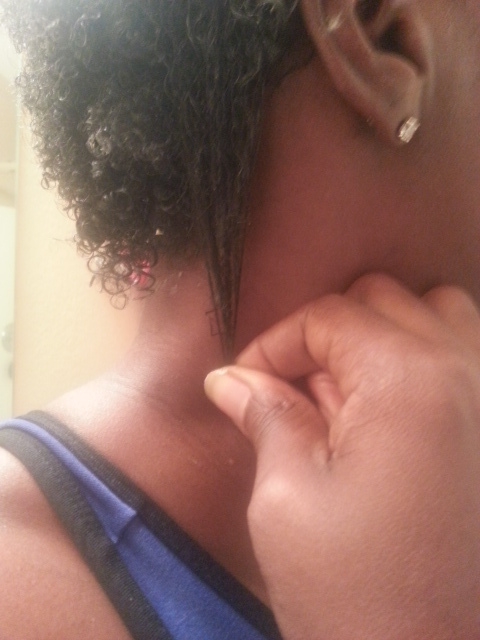 But today, I did an actual length check with pics. I was prompted to do this because it’s been appearing to me that my hair is really growing. So in order to alleviate guessing how much, I decided I would do this. Today is Sunday, my wash day. I don’t know what it is about wash days, but I look forward to them. Yes, they are very time consuming. However, as I go through my wash routine I have a sense of pride, self acceptance, and self love – that I’m doing something good for myself and my hair. I really don’t know how to explain it. My hair felt really soft, but I’m noticing more shed or broken hairs today. I’m not sure exactly which they are. I’ve read that shed hairs will still have the bulb attached to the root. I’ve never seen that to know what it would look like. But I don’t think that’s what I’m seeing. It’s no secret that my hair is very damaged. So I’m pretty positive these hairs are directly connected to that problem. I’m not quite sure how to resolve this issue. I’ve been doing everything that I’ve found through my research but it doesn’t seem to be working. Actually, it seems to be getting worse! 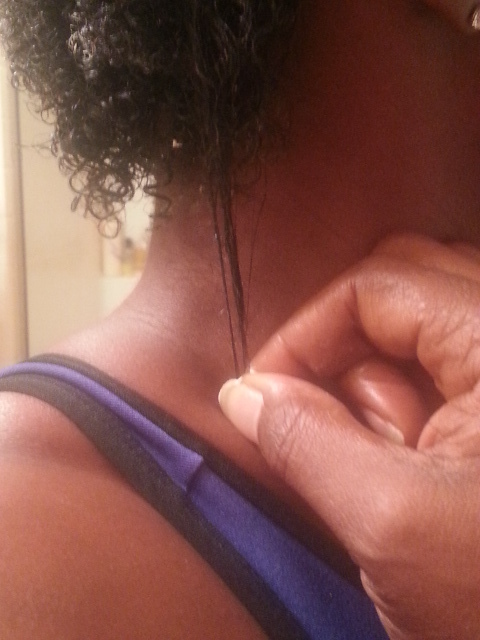 But, coincidentally, my hair seems to be growing. I’m so confused! But I’m not giving up yet. I’m determined to figure this out!! !